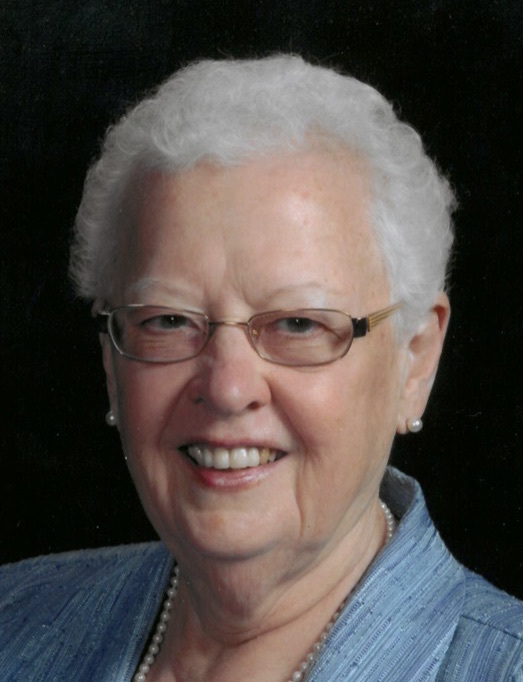 Louise P. Ruhman, 86, of Metamora, IL passed away on Saturday, December 1, 2018 in East Peoria, IL. She was the wife of the late Rev. Mr. Roger A. Ruhman who passed away November 30, 2015. She was the daughter of the late Lewis and Esther Peters. She was born on December 9, 1931 in Catasauqua, Pa.
Louise graduated from Catasauqua High School, attended the University of Pennsylvania, and was a graduate of Cedar Crest College and the Sacred Heart Hospital School of Medical Technology in Allentown, Pa. In 1956, the American Cancer Society sponsored her to study at the Cornell School of Medicine, studying under the leadership of Dr. George Papanicolaou, who developed the detection of cancer from body fluids process. Upon completion of these studies, she returned to Allentown and organized the first Cytology program in the Lehigh Valley. In 1958, Louise Peters and Roger A. Ruhman were married in Catasauqua, Pa. They began their first pastorate in Western Pennsylvania, followed by two more in Pennsylvania, one in Syracuse, NY, and one in Quincy, IL. Rev. Ruhman also served internships in Greencastle, IN, Paris, IL, and Metamora, IL. Louise was active in the music ministry in many of the churches and organized holiday workshops for underprivileged children to have gifts and decorations for their families. Louise was preceded in death by her husband, daughter Ruth Anne, her parents, and sister Mary. She is survived by son David (Lisa) Ruhman; daughter Elizabeth (Larry) Cunningham; seven grandchildren Kyle and Tyler Cunningham and Rebekkah, Elisha, Isaiah, Naomi, and Abigail Ruhman; and a niece and a nephew. Louise was an associate member of the Neebish Island Presbyterian Church in Barbeau, MI. In lieu of flowers, memorials may be sent to the church at 9847 E. 17 Mile Road, Barbeau, MI 49710. Cremation rites have been accorded. A Celebration of Life Memorial Service will be held at 2:00 pm on Sunday, December 16, 2018 at New Castle Bible Church in Mackinaw, IL with Reverend Phil Somers officiating. Burial will be in Oakwood Cemetery in Metamora, IL. Mason Funeral Home is in charge of the arrangements and online condolences can be given at www.masonfuneralhomes.com.